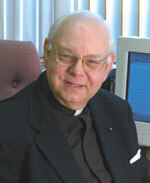 Beginning in 2008, we have received permission to post the weekly reflection on the Sunday readings written by Msgr. Owen Campion. You can browse the most recent below, or click further down to get more in our archive.